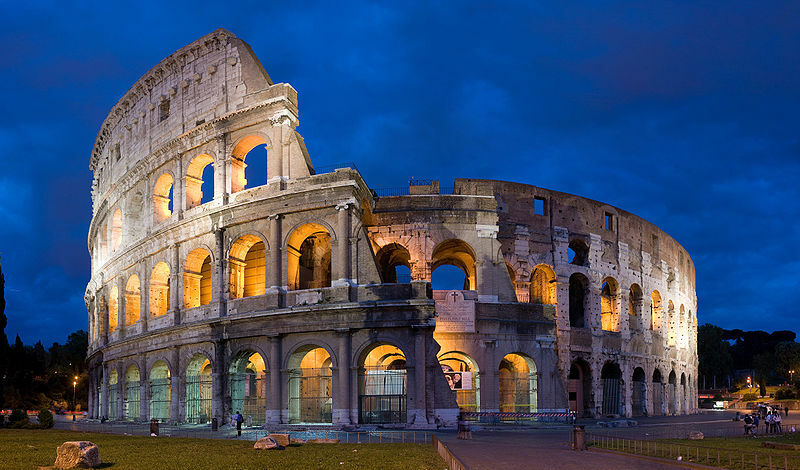 I haven't read The Hunger Games (I feel like the only person in the world who hasn't), but I have visited the Colosseum and agree with you that it's one of the most interesting ruins in Rome. 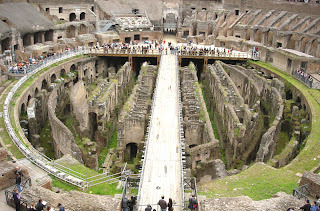 I can't believe they opened the hypogeum to visitors! That's the part I really really wanted to see last time. Typical! Oh I loved the Colosseum! It's truly an amazing structure (and that Paul McCartney concert wasn't too shabby either!). That was so much fun. 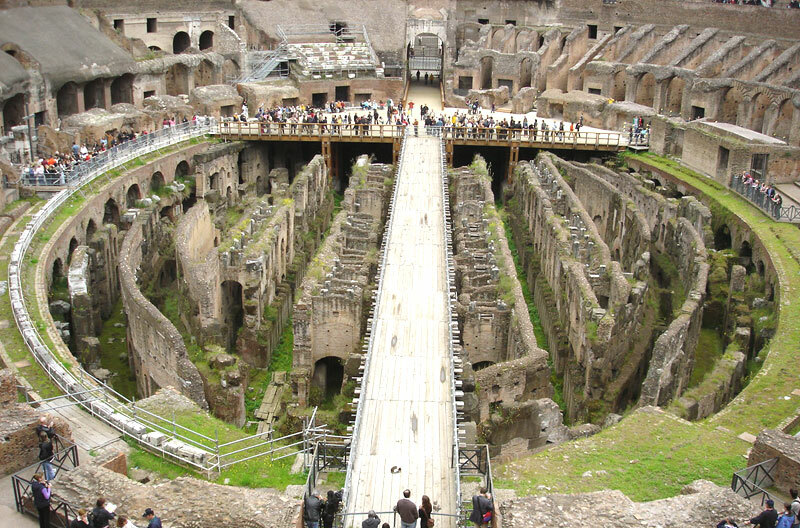 I would have really enjoyed walking through the hypogeum too. THat's funny, I thought of the Colosseum as well while reading the Hunger Games – just hearing the word "arena" brings back the ideas and purposes the Colosseum was used for. I liked the water in the arena (in the 2nd book? 1st? can't believe I've forgotten! ); it reminded me of the naval battles they'd stage in the Colosseum. I enjoy the kitsch and carnival atmosphere outside the colosseum. Once, I struck up a conversation with one of the "gladiators" who pose for pictures. It was the end of the day, and he was sitting in his beater car, exchanging his sandals for the sneakers before driving home. All day long he had been this bellicose poseur, and now he was done with that, looking forward to a plate of pasta with the wife and kids. Something else they have in common is that the Arena tributes and the fighters in the Colosseum (many of them, at least) came from oppressed peoples that the ruling classes were trying to keep under their thumb. Also, the Hunger Games and the Colosseum games were both primary forms of entertainment for the ruling classes – a fusion of entertainment and politics. Thanks for the comments! I like the comparisons between the Colosseum and Hunger Games that were brought up by joolee and Jaime (i.e. naval battles, ruling classes, oppressed peoples). Good ideas! I didn't think of those. Roy Scarbrough, I loved your anecdote about the man in the gladiator costume. I enjoy the environment outside the Colosseum as well (not to mention other things very near the Colosseum, like the Arch of Constantine).